Canada indicates that the Budget is guided by a new Gender Results Framework, and proposes several measures to ensure gender equality. The Budget includes new measures to encourage greater participation of women in the work force and proposes pay-equity legislation for federal government employees. The Budget also introduces a new program to encourage more men to take paid parental leave. Minister Morneau highlighted that advancing reconciliation with Indigenous Peoples is one of Canada’s most important concerns. 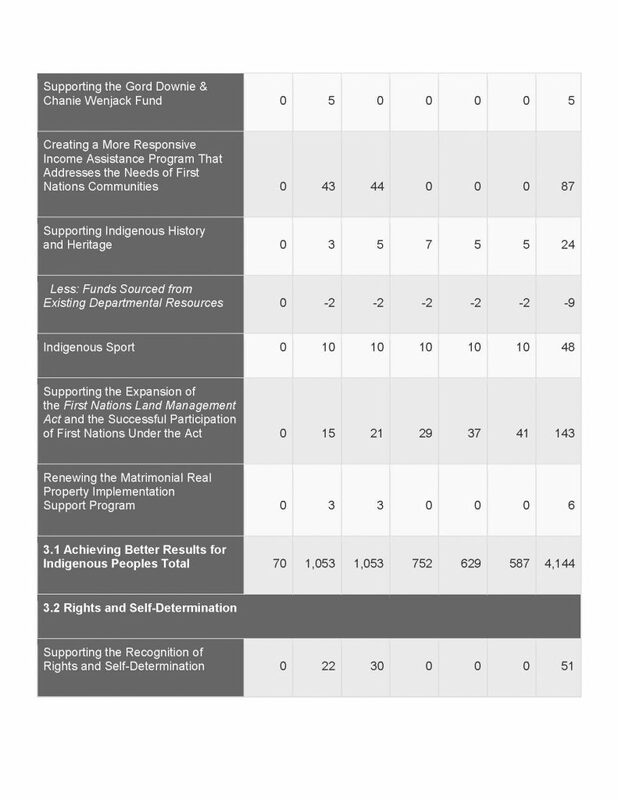 Under Chapter 3 of the 2018 Budget, “Reconciliation”, the Government proposes to invest an additional $5 billion over five years to close the quality of life gap between Indigenous and non-Indigenous communities, to build the capacity of Indigenous governments, and to accelerate self-determination and self-government agreements with Indigenous Peoples based on the recognition and implementation of rights. Informed by Canada’s new Gender Results Framework, the Budget indicates that key Indigenous Budget initiatives will work to improve child welfare and keep Indigenous families together, make progress to close gaps in Indigenous health outcomes, and promote equal access to training and jobs for women. Implementation of Rights and Self-Determination: Canada indicates that Budget 2018 will take steps to increase the number of modern treaties and self-determination agreements that reflects a recognition of rights approach. Starting in 2018-19, Indigenous participation in modern treaty negotiations will be funded through non-repayble contributions, rather than loans. Through Budget 2018, Canada also proposes to invest $51.4 million over the next two years to continue to support the Recognition of Rights and Self-Determination discussion tables. 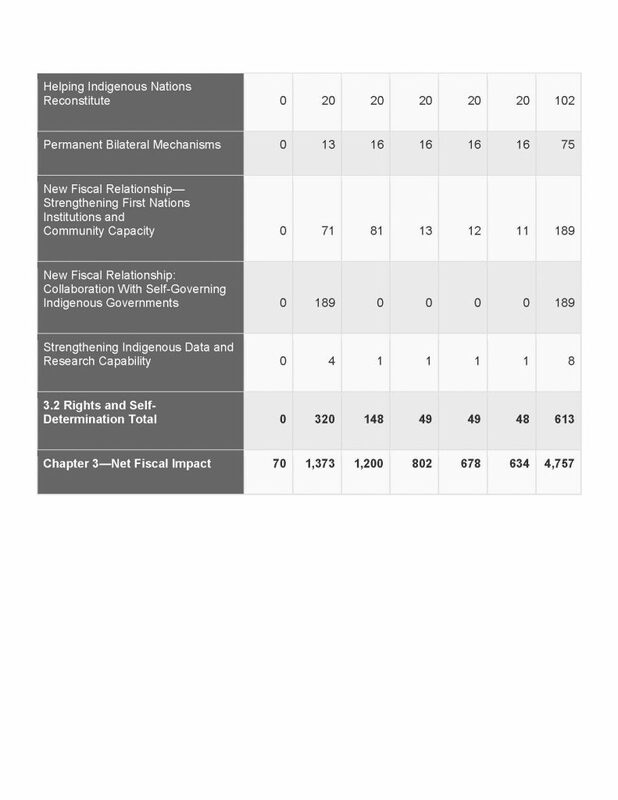 Canada further proposes to provide $189.2 million in 1028-19 to begin the process of new fiscal policy reforms that have been co-developed with self-governing First Nations. Canada indictes that this funding will support key priorities and work to close socio-economic gaps, infrastructure, and governance. First Nations Land Management Act (FNLMA): Canada proposes expanding the FNLMA to better allow for First Nations to exercise their inherent right to self-determination by creating their own laws related to land management. In order to expand the FNLMA, Canada proposes investing $143.5 million over five years, starting in 2018-19, and $19 million per year ongoing. Canada indicates that this will allow an additional 50 First Nations to enter in the Land Management Regime, while providing readiness support and capacity development to ensure successful participation. First Nations Community Capacity Development: Canada indicates the desire to build a new fiscal relationship with First Nations communities. Canada proposes to invest $188.6 million over five years, starting in 2018-19. 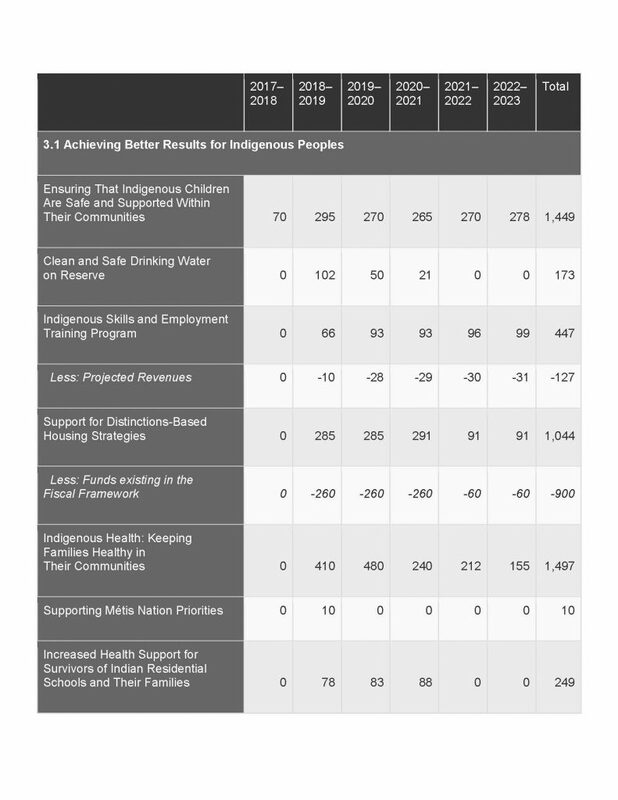 Through Budget 2018, Canada proposes to provide $101.5 million over five years, starting in 2018-19, to support capacity development for Indigenous Peoples. Funding would be available to support activities that would facilitate their own path to reconstituting their Nations. Bilateral Mechanisms: Canada has indicated they propose to invest an additional $74.9 million over five years, with $15.5 million per year ongoing, to provide ongoing support for co-development of policy forums between the Government and First Nations to identify each community’s distinct priorities and to develop solutions. Matrimonial Real Property Implementation: The Matrimonial Real Property Implementation Support Program was created to support the implementation of the Family Homes on Reserves and Matrimonial Interests or Rights Act established in 2013. Canada proposes to provide $5.5 million over two years to continue the Program and support new training and activities, such as the development of alternative dispute resolution mechanisms. Indigenous Heritage: Canada proposes investin $23.9 million over five years to Parks Canada to integrate Indigenous views, history and heritage into national parks, marine conservations areas and historic sites. On-Reserve Income Assistance: Canada proposes investing $85 million over two years to work with First Nations to make the program more responsive to the needs of individuals and families living on-reserve. The Government of Canada has provided the following chart to summarize their proposed investments under Budget 2018. To read Canada’s full 2018 Budget, please visit: https://www.budget.gc.ca/2018/docs/plan/toc-tdm-en.html.